What type of oil are on Kars' feathers? During his aerial fight with JoJo, Kars fires off some feathers which are as hard as an armadillo's shell and covered in a bullet deflecting oil. 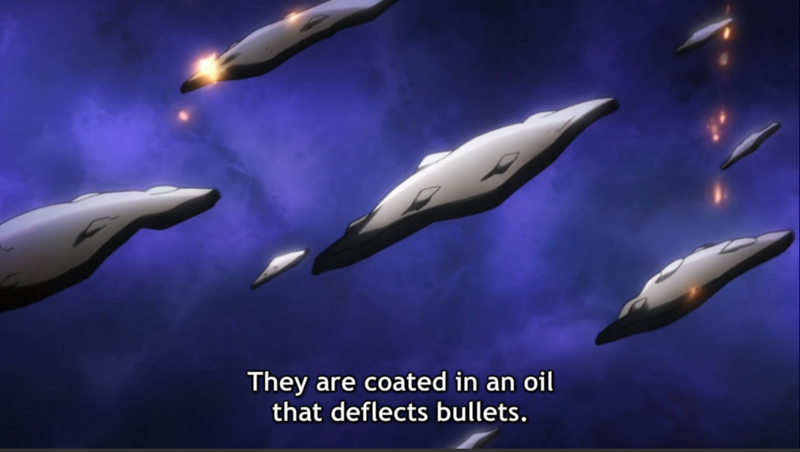 I've never heard of an oil that could deflect bullets, and I can't visualize how that would even work. Is this a thing that exists, or is it just something that the writer made up? Browse other questions tagged jojos-bizarre-adventure or ask your own question. How are Kars' features described in this image? What happened to Fugo in Episode 18 8:35?